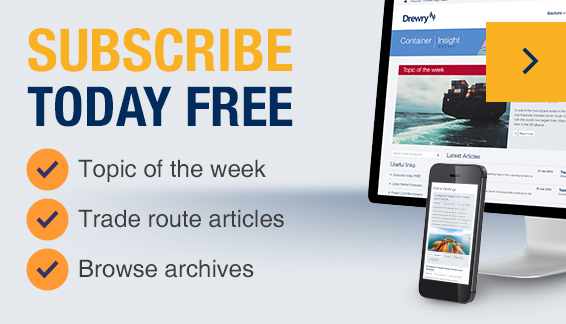 Drewry - Maritime Research Opinions - What is driving the summer rally of LNG spot charter rates? What is driving the summer rally of LNG spot charter rates? No Fukushima like disasters, demolitions have only been a handful and deliveries have remained strong, yet, LNG spot charter rates have touched the highest mark since the summer of 2012. In this piece, we investigate what is driving the rally of the LNG spot charter market this summer. Despite growing availability of LNG carriers and traditionally low seasonal demand, LNG charter rates have remained firm throughout the summer of 2018. Spot charter rates strengthened throughout the second quarter of 2018 and are at their peak since 2012. Shipowners with modern DFDE vessels chartered out their vessels at $60,000pd in 2Q18, which is about 50% higher than the rates seen in the third quarter of 2017. At the end of June 2018, some vessels were reportedly fixed at $85,000pd – the level usually seen in the peak of winter, when LNG vessels are in high demand. One of the major factors behind the recent rise in charter rates is the declining employability of older LNG carriers because of poor fuel efficiency, higher operating costs, less cargo-carrying capacity and high boil-off rates. Combined, these factors have effectively rendered a number of LNG carriers unemployable, hence squeezing the actual supply of vessels in the spot market. With regard to fuel efficiency, bunker costs play a major role in decision-making. An old (30 year plus) steam turbine vessel can use as much as 215 tonnes of bunker fuel per day, while the average consumption of more modern steam turbine vessels is around 170 tonnes per day. On the other hand, modern DFDE LNG vessels burn only 140 tonnes of bunker, reducing the cost of bunker substantially. For instance, at current IFO bunker prices, a steam turbine vessel will burn $13,000pd of additional bunkers, compared with a modern DFDE ship. Additionally, there are other issues relating to the maintenance, off-hire days, operational flexibility and modern navigation and signalling systems, which are superior on modern vessels. Older vessels also run the risk of frequent breakdowns, which charterers are not willing to take when they have options available. The current state of LNG vessel employability is challenging the conventional wisdom about the average economic life of LNG carriers, which used to be 35-40 years. If the current trends continue, ship financiers will start taking a more conservative view while financing second-hand assets in the LNG market. To corroborate the popularity of modern ships, the chart below presents the spot market chartering trends in 2018 for LNG carriers. Year-to-date, 190 spot fixtures were reported; out of those only 59 were for steam turbine vessels – about 30%. Drewry believes the current rally in charter rates will continue to sustain through to 2019. With increasing availability of modern vessels, owing to new deliveries and strong orderbook, the road ahead for older tonnage will be difficult. The traditional steam turbine ships will face tough competition from modern DFDE/TFDE carriers, and their future looks uncertain. The reason why shipowners are still holding onto these assets is that they foresee an acute shortage of vessels in 2019, when new liquefaction capacities start operating. That will be their last throw of the dice. If it does not work for them, then the only option for them will be to scrap those vessels.